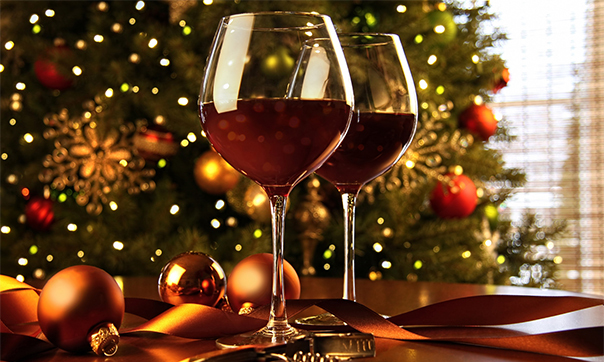 Whether it’s to give the holidays more cheer or make them tolerable, the perfect beverage enriches every holiday table. I recently polled some of the fine cheerful folks at Advintage to find out what they will be bringing to dinner this year. Apparently, the Sunier brothers’ Beaujolais is very popular amongst our team. I can’t argue, I have a mag of Regnie from both Julien and Antoine lined up. What’s a holiday gathering without sibling rivalry!? “Ok, these are real examples of what will be at my table....giving you a few options. Marcel Deiss Alsace Blanc 2016 - an unexpected alternative to Riesling that my special guest 94yr old neighbor Irma will enjoy. Plus, 13 varietals sounds the subtitle to any family holiday dinner. Albert Bichot Vieilles Vignes de Pinot Noir, 2016 - this wine is approachable and walks a beautiful balance between fruit and firmness, a compliment to the turkey with enough weight for those stubborn, red-only drinkers. HAPPY HOLIDAYS FROM THE ADVINTAGE FAMILY! This past week, the Great American Beer Festival was held in Denver, Colorado. The #GABF brings visitors from around the world to sample thousands of American craft beers, hosts hundreds of judges from the United States and abroad to evaluate beer in competition, and ultimately choose winners based on thousands of entries! With that being said, it is with great honor and excitement to announce winners from our growing Craft Beer portfolio. These achievements do not go unnoticed and are a shining example of the talented suppliers we get to work with on a daily basis! Essentially Geared Wine Company is breaking barriers in the canned wine world. From wine packaged in environmentally friendly cans, to making sure they are available to be enjoyed no matter what adventure you are on, EG Wines are breaking down the wine industry's glass walls. Founded by Jordan Kivelstadt and Grant Hemingway. These two have never been ones to follow a recipe. After meeting in 2011, their friendship bloomed on the foundation of leading the charge on sustainability and the innovation within the wine industry. As devoted outdoorsmen, both Jordan and Grant understand the need to make our planet a better place. This combined with their desire to socialize wine and make it available in every setting, comes together in a simple, sustainable package that is Essentially Geared Wine Co. We'll see you around the campfire. Source: Essentially Geared Wine Co.